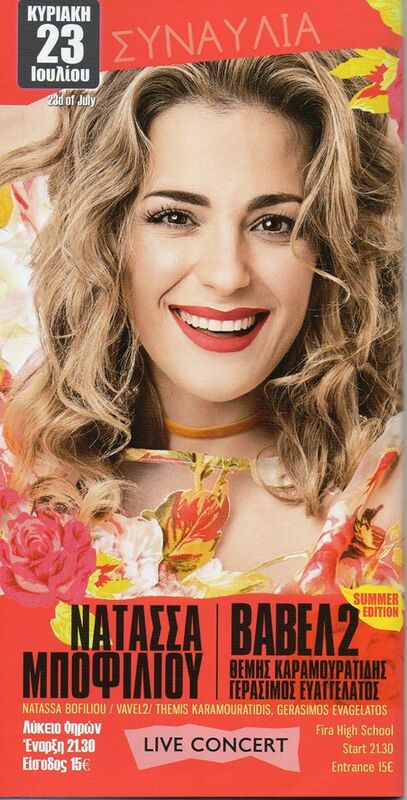 After her continuous sold out concerts in Athens and Thessaloniki in the winter, one of the most popular Greek singers, Natassa Bofiliou, is touring around Greece in the summer. Tonight, she is performing live in Santorini and interpreting older and new hits on her show “Babel 2”. At the Senior High School in Fira, at 21.30.